Within four years from the day that we started our business in this area, we won four international quality excellence awards for our products. Our extra virgin olive oil won in Tokyo, “Gold Winner” at the Olive Japan 2014 competition and in Los Angeles, “Silver Medal” at the Los Angeles International Extra Virgin Olive Oil competition, in 2014 and in 2016. Our olives and our Olive paste won the Great Taste Awards 2016 prize. 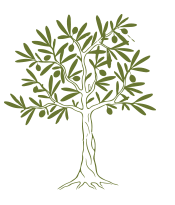 The olive oil we produce is extra virgin and its acidity is, principally, much lower than 0,4%. Its unique ingredients render it an olive oil with very high nutritional value and beneficial properties that are scientifically proven. Since the ancient times and even today, in the land of Messinia, olive oil and olives, in general, are considered a gift from God as well as magnificent products, due to the valuable benefits they offer through everyday consumption. We have decided to combine these age-old products of the Greek land with innovation and the promotion of a healthy lifestyle. We produce high-quality Extra Virgin Olive oil, of the «Koroneiki» variety exclusively: a 100% natural product. Cold pressed olive oil, produced exclusively through mechanical means and with low acidity < 0.4%. It has a strong taste, fruity aroma and deep dark green colour. Kalamatas Greek olives named for their geographic region of production. This specific variety of olives offer many health benefits. Our head offices are located in the Municipal District of Sterna in the Municipality of Messini. Our olive groves are located near the village Draïna, in the Local Community of Trikorfo, at the very heart of the «Koroneïki» variety land and the authentic Kalamata olives. It is a semi-mountainous village situated 30km northwest of Kalamata, in Messinia District. Watch the promo video for Greenland products.